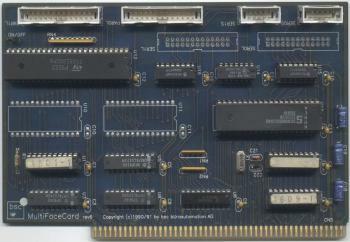 Half length Zorro II card which provides two additional serial ports and two additional parallel ports. 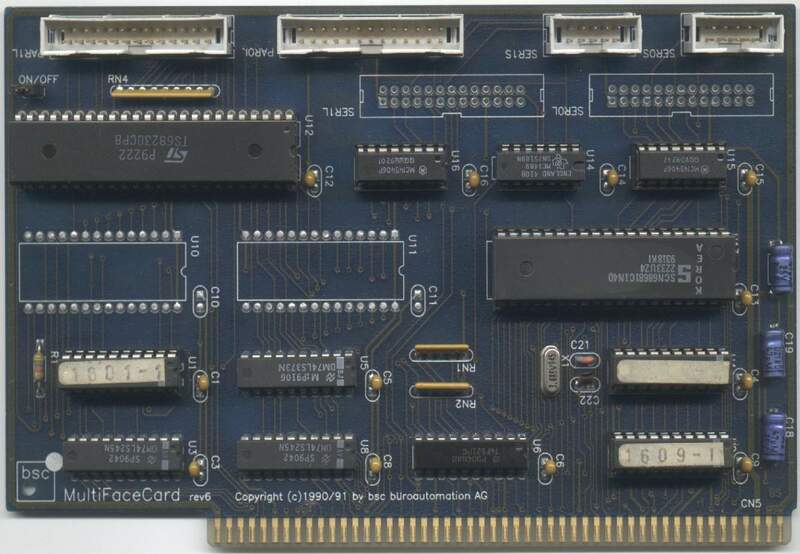 The card also appears to be able to support two more additional serial ports, however this may require the addition of more "UARTs". 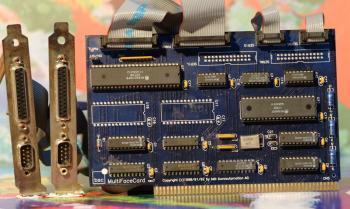 The Multiface can be upgraded to a "Multiface 4" by the replacement of the crystal and 3 chips. 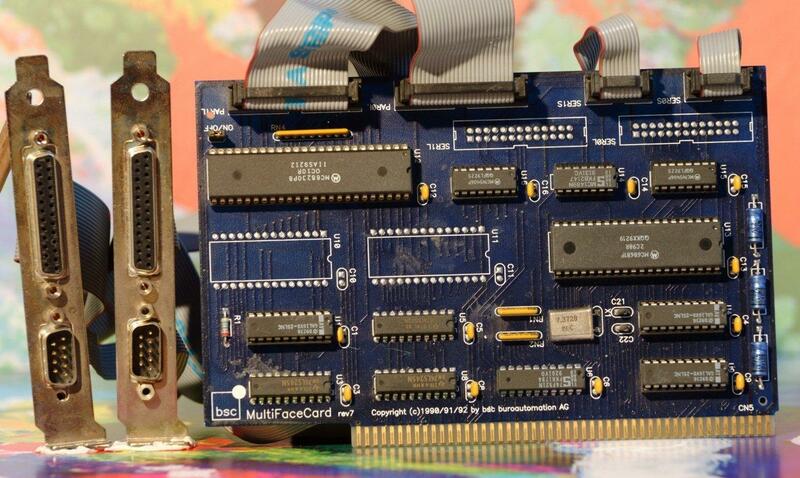 This gives enhanced serial speeds of up to 115,200 but requires version 3 of the driver software.